Shakeology is an overall great product. Not only does it provides numerous health benefits, but it also tastes delicious. Of course, how Shakeology tastes is subjective. What I think is delicious, you might think is gross. But what is great about Shakeology is that there are literally hundreds of different ways to make it. If you are someone that thinks Shakeology tastes gross, all that you have to do is play around with different recipes until you find one that you like. Currently my favorite Shakeology flavor is tropical. I normally make it with a little bit of ice, half water, half milk, and a few chopped up strawberries or raspberries. The tropical Shakeology flavor alone is pretty bland, so adding a few strawberries to it can really spruce up the flavor. Before the tropical Shakeology flavor was released, my favorite was chocolate. I’m still a big fan of chocolate Shakeology, but after drinking it everyday for 2 years straight, I was ready for a change. When I was drinking chocolate Shakeology I would sometimes add a small scoop of peanut butter. This made it taste like a Reese’s Peanut Butter Cup, and was obviously delicious. I would also sometime add chopped up strawberries, or bananas to my chocolate Shakeology drink, these combinations were always delicious as well. When I first ordered Shakeology, I tried to stir it up by hand with a spoon. This is not the way you want to mix up your Shakeology. In order to get the best taste, especially if you are adding real fruit to it or other things like peanut butter, you want to mix your Shakeology in a blender of some kind. Mixing your Shakeology is a blender is going to give your shake the best consistency and the best taste. If you are traveling, are on the road, or are someplace where you just don’t have access to a blender, you can use a Shakeology Shaker Cup to mix up your shake. The key to mixing up your Shakeology in a Shaker Cup is to shake it hard and fast for at least 30 seconds. 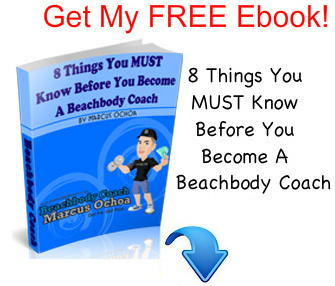 You don’t want to give it just a few wimpy shakes, make sure that you shake the Shaker Cup violently, that is what it will take to get it mixed up adequately and tasting great. I personally use a Magic Bullet Blender to mix my Shakeology. 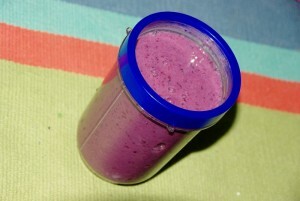 I like the Magic Bullet because it is super simple to use and the cleanup process is also quick and easy. 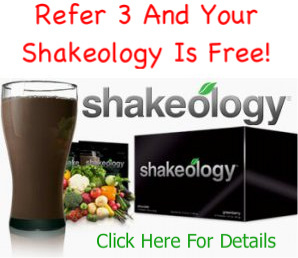 Learn How To Get A Discount On Shakeology…Click Here! How do you mix up your Shakeology?…Leave a comment below letting us know what works best for you.